Film. Produced by Moctesuma Esparza. 2006. 111 minutes. 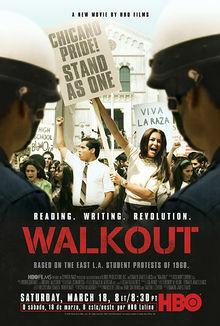 Walkout tells the true story of the Chicano students of East L.A., who in 1968 staged several dramatic walkouts in their high schools to protest academic prejudice and dire school conditions. Walkout is the stirring true story of the Chicano students of East L.A. who, in 1968, staged several dramatic walkouts in their high schools to protest academic prejudice and dire school conditions. The mass student walkouts this week across California and other states are not the first of their kind. 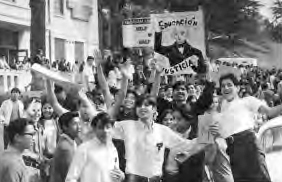 In 1968, Chicano students in East Los Angeles staged a historic walkout in their high schools to protest academic prejudice and dire school conditions. Students were forbidden from speaking Spanish in class or from using the restrooms during lunchtime. Schools taught a curriculum that largely ignored or denied Mexican-American history and Chicano students were steered toward menial labor and away from college by counselors and school officials. Many of the students who participated in the walkouts went on to successful careers in politics, academia and the arts. One of them was Antonio Villaraigosa — he became the mayor of Los Angeles. 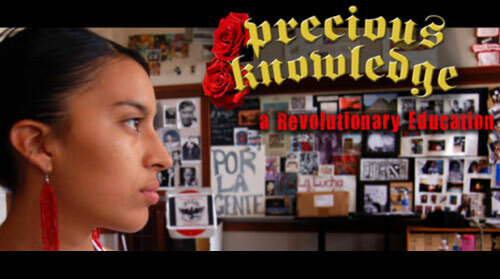 Another was award-winning filmmaker Moctesuma Esparza, who was indicted for his role in organizing the walkouts. He is now executive producer of the HBO film about the 1968 protests simply titled Walkout. Directed by Edward James Olmos and Robert M. Young | Produced by Home Box Office. Teaching Activity. By Brian C. Gibbs. Teaching Activity. By Gilda L. Ochoa. 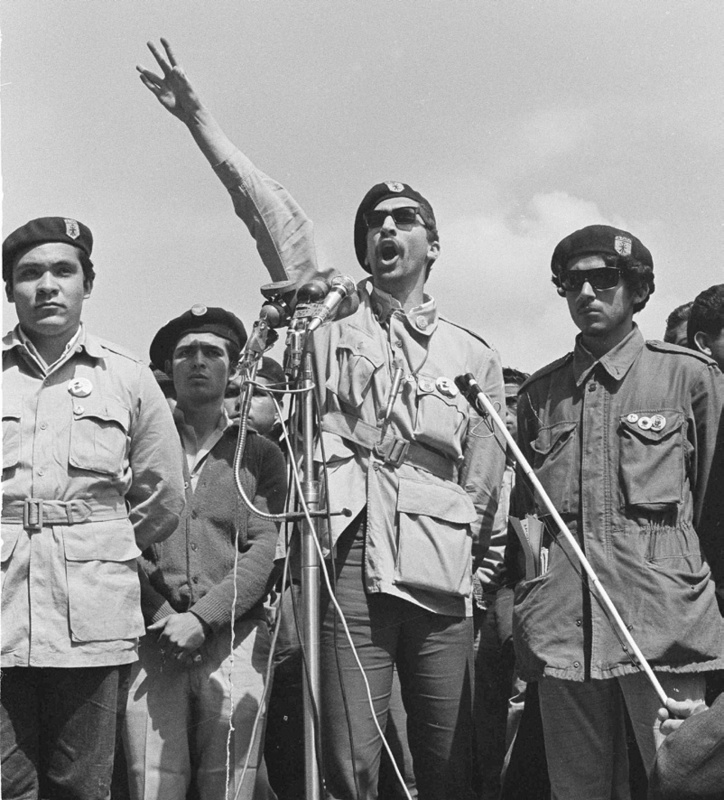 Reflections on teaching students about the 1968 walkouts by Chicano students in California. Film. Directed by Ari Luis Palos and produced by Eren Isabel McGinnis. 2011. 70 minutes. High school seniors become community leaders in Tucson’s embattled Ethnic Studies classes while state lawmakers attempt to eliminate the program.